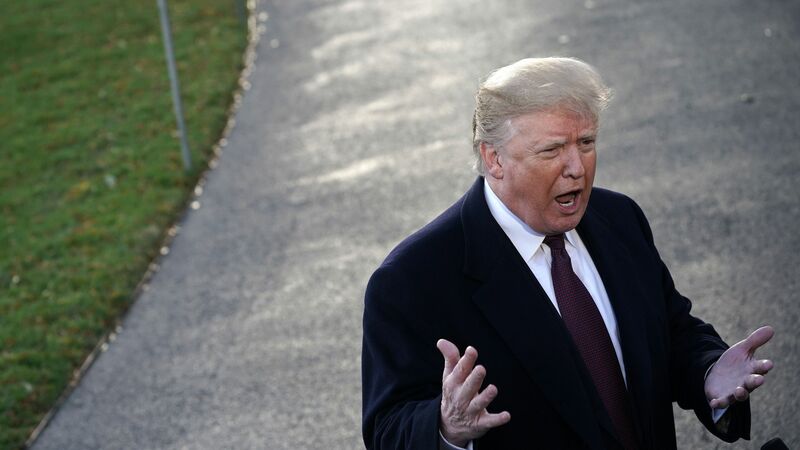 In a tweet praising Saudi Arabia, which remains at the center of an international controversy over the murder of journalist Jamal Khashoggi, President Trump was misleading about the price of oil, falsely claiming the price had fallen to $54 a barrel, when it was "just $82." Between the lines: There are two major varieties of oil on the market, and Trump used a near-peak price of one to make the near-bottom price of the other seem more dramatic. West Texas Intermediate is indeed $54, but was only at $75 during its recent high in October and hasn't been at $82 since 2014. Brent Crude is currently at $64 a barrel, and was at recent high of about $85 in October. The two are not the same, and the $28 a barrel price swing Trump is praising hasn't happened.